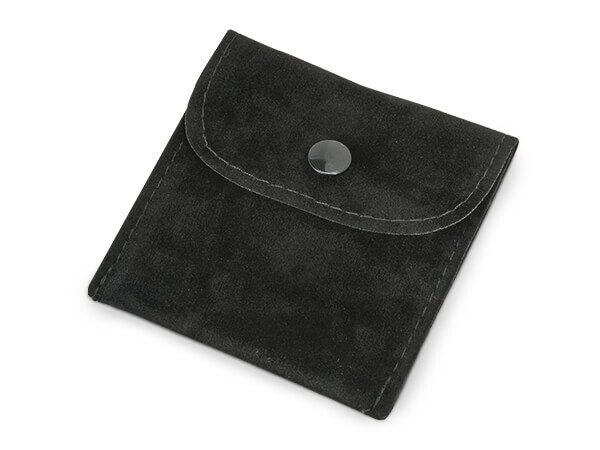 Black Velvet Snap Bags 3x3"
An update to our current velour bags, the snap jewelry pouches are soft and available in several popular colors. The closure is a fold over pocket flap that is secured with a button snap closure. Perfect for favors, jewelry, cosmetics, storage & travel. Bags are imported; colors may vary slightly from shipment to shipment.